Looking for something different to engage, stimulate, excite and build your team? Wondering where to go? 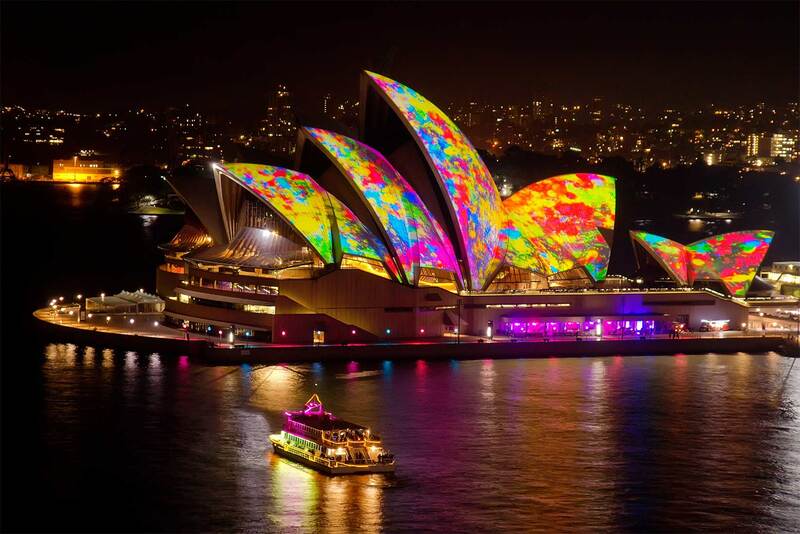 Well, where better to start than Sydney, capital city of New South Wales! 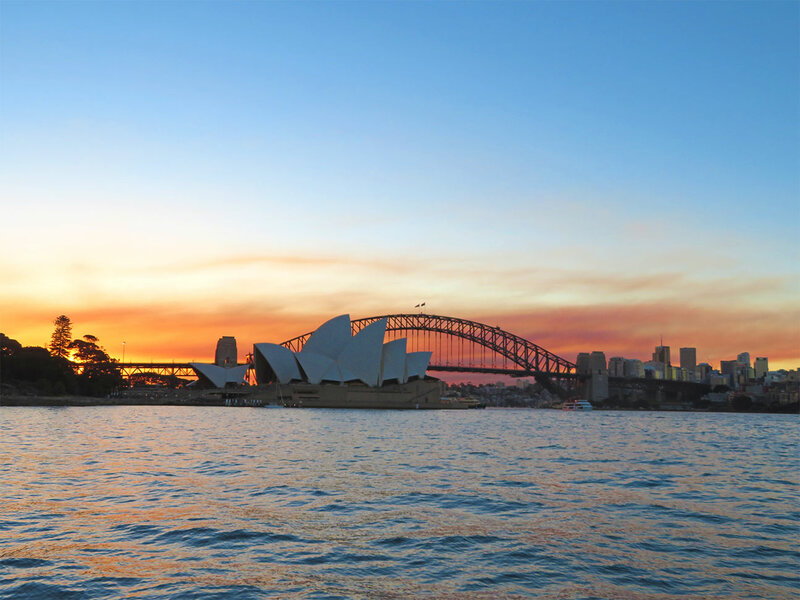 With its fantastic harbour, world renowned Opera House, amazing beaches, stunning parks and gardens, famous arched Harbour Bridge and award-winning restaurants, Sydney is the place to be to offer inspirational collaborative events and activities to boost, strengthen and re-invigorate your team. Embark on a treasure hunt around the City or Harbour, “Walk the Plank” and be the first to find a treasure chest secretly hidden in one of Sydney’s most iconic locations. The key to success is the team’s ability to work together to problem solve, decode messages, search for further clues and be the first to locate the “treasure”. With corporate group activities heading out from all the major hotel chains in Sydney, this is an ideal activity to engage and re-motivate your teams. With the grand finale of opening the Treasure Chest to access its jewels, it’s a certain winner in terms of uniting your teams on common ground however diverse they may be. This terrific team building experience takes place in Sydney Harbour. Suitable for teams of between 10 to 22 people, this is a sure way to promote healthy minds and bodies and to bond your teams. Trainers will soon have your teams briefed, working collaboratively and paddling in unison to propel their boat to its destination. Communication is key to ensure teams work together to achieve their maximum output and potential as they do their utmost to win the race. Ladies and men work as one as they power their dragon boat through the water whilst at the same time taking in and savouring the magnificent scenery and backdrop of Sydney Harbour. With a celebratory meal to round off the day, this is an excellent activity to challenge, bond and reward your employees whilst at the same time giving them a thrilling and motivational experience they will never forget. With such glorious beaches on the doorstep, it would be remiss not to explore what’s on offer, and what better way to win your employees’ good will and to stop them daydreaming during their working hours than to reward them with a constructive off-site “beach day”. Opportunities the beaches can provide are endless and can combine both fun and challenge. With beach volleyball, cricket, sand sculpting, tug of war, limbo dancing, beach games, snorkelling, scuba diving, kite surfing, beach Olympics, surfing, as just some of the activities on offer, there is guaranteed to be something that can be mapped into the day’s programme to unite and to suit everyone. A huge benefit of a neutral, off-site location, is that your teams will be given an opportunity to wind down, get to know their colleagues in a completely different light and see new strengths both in themselves and others in their interactions on the beach. Host to the summer Olympic Games in 2000, Australia paves the way for some of the most elite sports stadiums across the world. Two of these, the Allianz and the ANZ Stadiums are to be found in Sydney. Iconic venues in themselves, they also provide a stage for national and international sporting events from cricket, rugby, footy, soccer, even to American NFL. Give your staff the thrill of a live sporting event, get in touch with the hospitality team and get them to create a tailor made package to capture the imagination of your teams, make them feel valued and encourage them to strive the extra mile to meet company targets and ensure your business goes from strength to strength. Looking for the ultimate experience to bond, strengthen, inspire and reward your staff? Karisma Cruises is the place for you. With experience dating back to 2011, Karisma Cruises is your expert in corporate team building experiences and a forerunner in creating unique, professional and bespoke packages to meet your every requirement. Operating on the principle that employees are a company’s most valuable resource, Karisma Cruises know how to pull together a package to unite, build and bond your team. 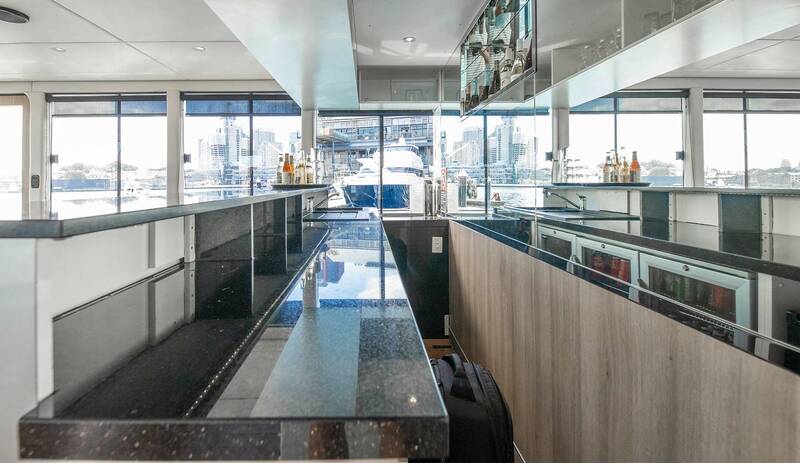 During a unique adventure on the waters of Sydney Harbour, a cruise on the Karisma will offer your employees the opportunity to take in breath-taking 360-degree views whilst at the same time engaging in tailor made activities guaranteed to motivate, increase productivity, boost morale and lead to closer integration in the work place. Our Laser Clay Shooting package, for example, is a popular choice that gets so many people involved and is ideal for getting people to interact and enjoy themselves. Talk to us about our Laser Clay Shooting package today. Our catamaran, Karisma, is a modern vessel combining a perfect mix of sophistication and fun. 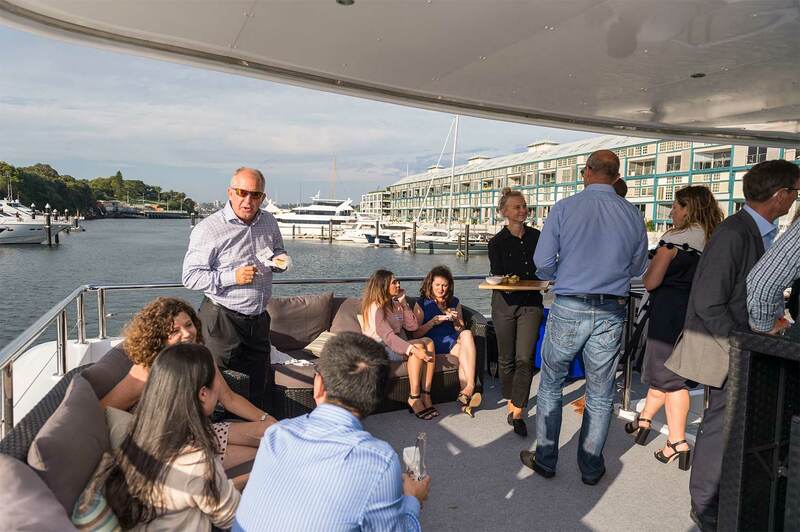 With overhead covers to protect from the elements on each deck, three spacious and comfortable entertaining areas and state of the art air conditioning, multimedia and PA equipment, Karisma can cater for your every need. It even hosts a six-person spa for the ultimate in treats and luxury. With core values of client satisfaction and continuous innovation, Karisma Cruises focuses in offering an outstanding, bespoke package from start to finish. You will have your own event coordinator to work closely with and ensure the smooth conception and delivery of your event. On the day, your cruise will be manned by experienced marine crew whilst our exceptional hospitality team will attend to every guest’s needs. Your cruise director will also be on board to make sure everything meets your every specification. Like the sound of this? Looking to show your appreciation of your employees, boost productivity and keep your valued staff on board? Look no further than us. For a conversation to discuss your needs, please get in touch today.